Rockstarz Limousine offers some of the most competitive pricing for your Holiday Party Bus Rental. The holidays are always a great time of year to enjoy parties and gatherings with friends and family. 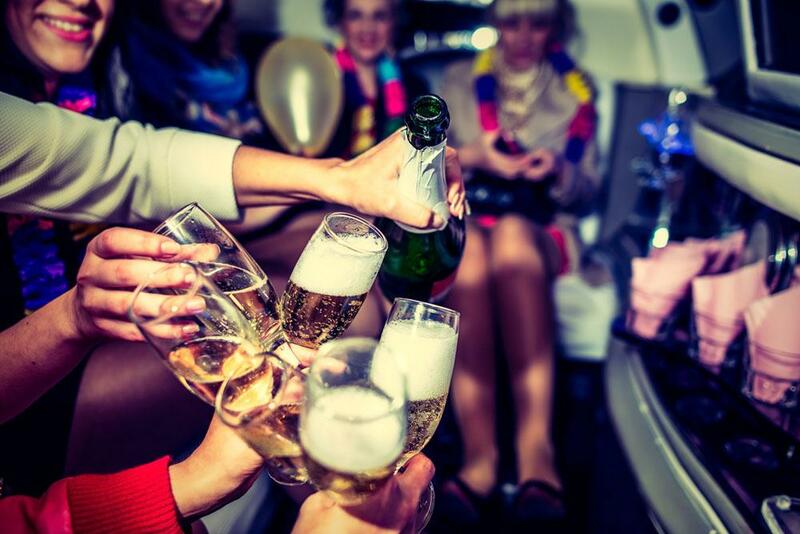 During this time of year, there are many events and parties that are perfect to get a group together and rent a party bus or limousine in Ann Arbor. We also offer service to other cities in Southeast Michigan such as South Lyon, Livonia, Detroit, and Farmington Hills. Click here for more information on our service areas. So, why choose Rockstarz Limousine for your holiday event? 24/7 /365 phone access to a Rockstarz dispatcher (not an after hours answering service). Party bus rentals for Thanksgiving, Christmas, Christmas Eve, New Years Eve, and New Years day. Newest and most up-to-date fleet cleaned spotless after each limo bus rental. Click here to browse our fleet options. Many local corporations and businesses use Rockstarz Limousine for their holiday party events. If you are planning a Holiday Party for your employees and/or co-workers, why not give them the red carpet treatment and show your appreciation with a limousine or party bus service? With our top of the line vehicles, friendly professional chauffeurs, and punctuality your decision is easy. Rockstarz Limousine is the obvious choice. Join the long list of many satisfied corporate clients that use us. Call us Today to reserve your transportation as well as a great experience. And remember its not about where you go, it’s how you get there!